Over the past 50 years, the management of valvular heart disease has changed dramatically, particularly those diagnosed with severe, symptomatic aortic stenosis. Once seen as a terminal condition prior to the era of surgical aortic valve replacement, now has become one that is easily corrected with a surgical procedure. In the modern era of cardiac surgery, surgical aortic valve replacement has yielded excellent results in improving both the quality and duration of life. Despite excellent outcomes, nearly 50% of the patients with severe, symptomatic aortic stenosis are deemed inoperable given their underlying medical status. Fortunately, many of these individuals now have an option for the management of their critical valve disease using a minimally invasive approach. The development of Transcatheter Aortic Valve Replacement (TAVR) has now become an option for many people suffering from severe symptomatic aortic stenosis who may not have had a surgical option otherwise. The prevalence of aortic stenosis is very common, affecting nearly 2.5 million people in the United States over the age of 75, which accounts for nearly 12% of the population in that age range (nearly 1-in-8 patients). The most common reason for people to develop aortic stenosis is due to degeneration and calcification of the aortic valve leaflets which restricts blood flow out of the heart. Other individuals who may be at risk for developing aortic valve disease are those with congenital anomalies of the aortic valve, as well as, individuals who have been treated with chest radiation for a prior malignancy. Other conventional cardiac risk factors such as hypertension, hyperlipidemia, and chronic kidney disease may also place people at risk for the development of valvular heart disease. Aortic stenosis is usually detected by physical exam, most commonly by the development of a heart murmur. Not all murmurs are due to aortic valve disease and those that do develop aortic stenosis, may not progress to the point of needing a procedure to correct their valvular heart disease. Most commonly, an echocardiogram will be utilized to image the aortic valve and to follow a patient’s aortic valve disease over time in order to help make decisions regarding treatment options. 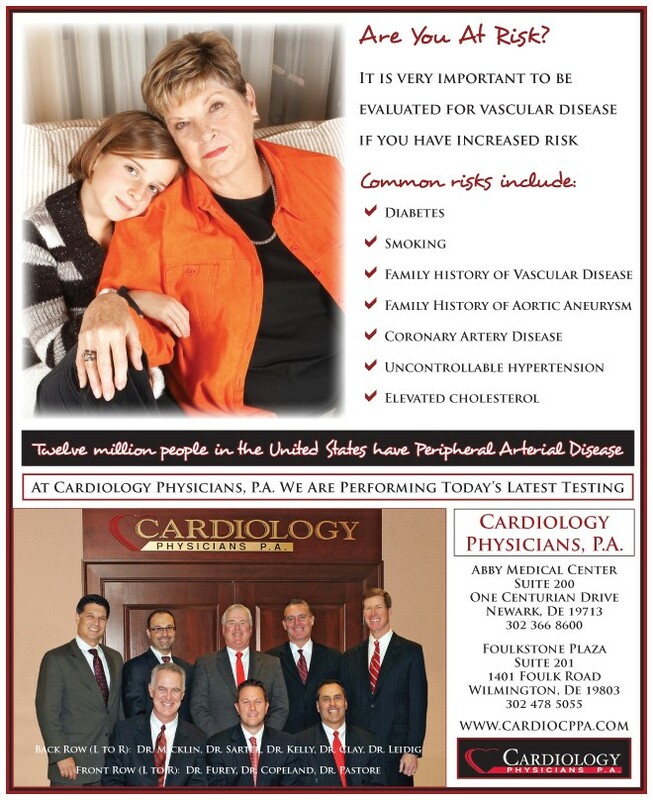 Valvular aortic stenosis is a progressive process and can be life threatening. When the onset of symptoms appear, patients left untreated have a poor prognosis; patients will continue to experience worsening symptoms such as chest pains, passing out, heart failure eventually leading to death. Once patients with severe aortic stenosis develop symptoms, the average survival is 50% at two years and 20% at five years which is a worse survival rate than many metastatic cancers. Once a patient reaches the point of developing severe, symptomatic aortic stenosis, then the decision needs to be made regarding the possibility of an aortic valve replacement, or perhaps a transcatheter valve replacement in those felt to be ideal candidates. The first successful transcatheter aortic valve replacement was performed in 2002; already, the third generation of aortic transcatheter valves are being implanted today. Over the past 15 years, the equipment utilized to perform these procedures are becoming less invasive and safer for patients. Originally designed for individuals who were deemed too high risk for surgery, early success in this population has led to trials focusing on those regarded as intermediate risk, based on their age and underlying medical conditions. This has led to approval of this transcatheter technology for those individuals, not only regarded as high risk, but also in those who are deemed intermediate risk. Currently, the decision to proceed with surgical valve replacement or TAVR is being made by a “heart team,” composed of cardiologists, an interventional cardiologist, and cardiac surgeons with the assistance of a valve coordinator. Each patient’s case is discussed in detail and a patient must meet with both an interventional cardiologist as well as two cardiothoracic surgeons before a consensus is made. In addition, tests such as a cardiac catheterization, chest CT and vascular screening are often done prior to the decision as well to provide additional information for decision making. Dr. Kevin Copeland performed these procedures during his fellowship and will be starting to perform TAVRs with the Heart Team. The latest TAVR trials have shown this current technology to have outcomes even better than those from surgical aortic valve replacement in intermediate-risk patients in regards to stroke and all-cause-mortality. Currently, trials for low-risk individuals are in the beginning stages of investigation. As the technology continues to evolve, the number of procedures and patients that are eligible for a transcatheter aortic valve replacement are increasing and by the year 2025, TAVR procedures are expected to exceed 300,000 per year. Dr. Copeland is Board Certified in Internal Medicine from the American Board of Internal Medicine and also maintains board certification in both Interventional and General Cardiology. He is also a Fellow of the American College of Cardiology and has received multiple Physician Ambassador Awards for the Cardiovascular Critical Care Unit at Christiana Hospital. Dr. Copeland has presented and published several abstracts and manuscripts in both general and interventional cardiology. He has a strong interest in interventional cardiology, the diagnosis and interventional treatment of peripheral vascular disease, valvular heart disease and cardiac hemodynamics. Dr. Copeland was born and raised, and currently resides in Delaware with his wife Lori and their three children: Emily, Owen and Landon. In his spare time, Dr. Copeland enjoys spending time with his friends and family, going to the beach, traveling and both watching and participating in his children’s sports. He is an avid college football fan in addition to following the local Philadelphia sports teams. Next Story → Say Goodbye to Hemorrhoids!